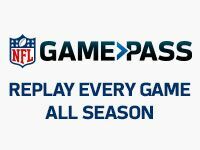 Published: Sept. 7, 2018 at 09:58 a.m.
With the blockbuster trade for pass-rushing dynamo Khalil Mack garnering headlines and drawing hype and hope for the Bears, Chicago's defense has jumped to the forefront ahead of its season-opening showdown with the rival Packers on Sunday night. With a brand new coach and a second-year quarterback helming the offense, plenty of questions -- and concerns -- would seem to remain on that side of the ball, though. Not for rookie receiver Anthony Miller, however. "I think there are a lot of people sleeping on us right now," the receiver out of Memphis told the media Thursday. "We're that new team. We've got a couple of new guys, but the history of this team hasn't been what we wanted it to be, so we're about to rewrite it. This is the beginning of something new, a new era in Chicago." That shiny-new feeling that has descended upon Chi-Town has largely been felt due to the additions of Mack and linebacker Roquan Smith -- who the Bears took in the 2018 first round before scooping up Miller in the second. Just about any offense would be welcome for the Bears, who hibernated for the duration of the 2017 campaign to the tune of finishing 32nd in the NFL in passing, 30th in total yards and 29th in points scored as quarterback Mitch Trubisky labored through a rookie season in which he rarely threw the ball downfield. In 12 games, the Bears' offense was held in check for 20 points of fewer. While defensive additions have commanded acclaim, the Bears have also added offensive pieces via free agency such as receivers Allen Robinson and Taylor Gabriel along with tight end Trey Burton. Just 5-foot-11, Miller can make tough catches on the inside, but his speed is underrated as he's adept on the outside as well and an exciting weapon after the catch. As for where and how Miller, 23, will make an impact, that's to be determined with Robinson and Gabriel slotted as the top two wideouts and hope still lingering for former first-rounder Kevin White in his latest return from injury. "We understood how he was going to start fitting into this offense, to what role, and what we did was kind of pull back and say, 'He fits physically, but where does he fit mentally,'" coach Matt Nagy said via NBC Sports Chicago's JJ Stankevitz. "So over the past few weeks we've been trying to test that out and he fell into that range for us, where in the preseason games we felt he was OK with where he's at and now we'll just figure out where's the best spot for him in this upcoming game." Known for playing with a chip on his shoulder as he was never highly recruited, Miller has made some noise for the Bears offense as the season looms, but whether he and the rest of the Chicago O can make noise on the field will start to come to fruition on Sunday night at Lambeau Field.